While well preserved and lasting natural stone floors start with excellent and consistent at home cleaning services, professional deep cleaning is also a necessary part of the equation for healthy natural stone flooring. At Modern Stone Care, we know natural stone flooring and we provide the absolute best maintenance and care! Natural stone, such as travertine flooring, limestone flooring, granite flooring, marble flooring, and more are all fragile stone with their own specific sensitivities and vulnerabilities. This makes it especially necessary for those who wish to take care of and preserve their natural stone flooring to work with a company like Modern Stone Care that specializes in natural stone care. General flooring companies will not have as much insider information about natural stone flooring and may actually weaken your stone, which in turn can lower the lifespan of your investment. Do not put your gorgeous flooring at risk in the hands of those who do not know how to properly treat your stone! We use specialized, in-house natural stone cleaning formulas on your flooring to keep them looking great for years and years! Modern Stone Care knows how to make your floors sparkle and shine, and grab the attention of all of your guests! Do not settle for anything but the best when it comes to your natural stone floors! Natural stone flooring such as granite floors, limestone floors, travertine floors, marble floors, and more require more maintenance than other types of flooring materials. 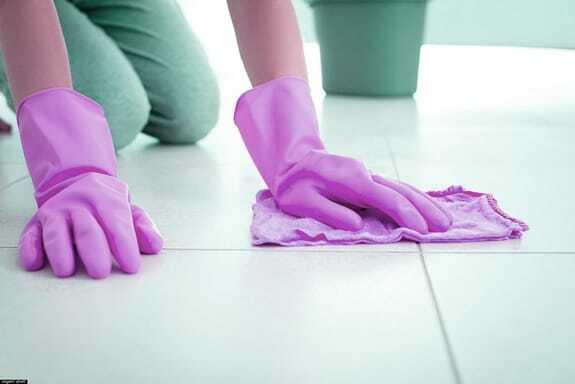 This is because they are very porous making dirt and grime to become impacted which can cause serious issues for the stone floors in your home. Whenever you are looking to get your floors cleaned, polished, sealed, or restored choose Modern Stone Care for affordable quality you can trust and gorgeous floors everyone will love!